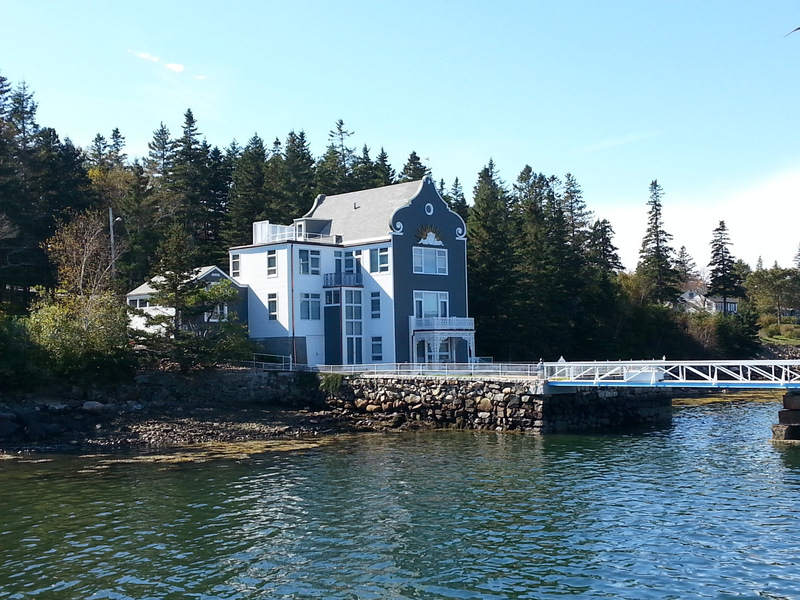 The Mount Desert Island, which includes Acadia, continues to delight us with spectacular sights. Today, we decided to try out the no-charge shuttle bus system which rolls around the entire area, enabling us to wander about without the hassle of driving/parking the truck. We elected to take our bicycles with us, and travel to the far southwest corner of the area, aptly named Southwest Harbor. The bus dropped us and our bikes off near the Bass Harbor lighthouse, one of a string of lighthouses and harbor lights which dot the coast. 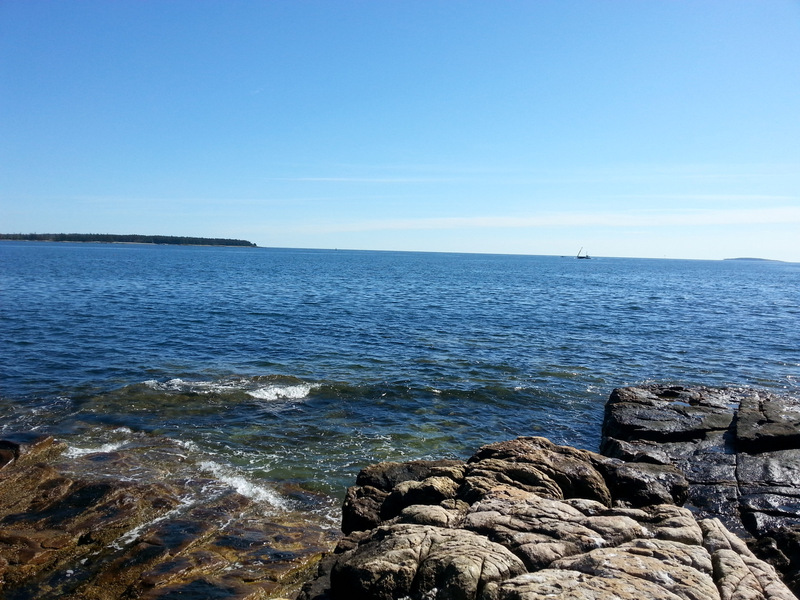 From there, we cycled up the coastline to the area called Seawall, actually part of Acadia. 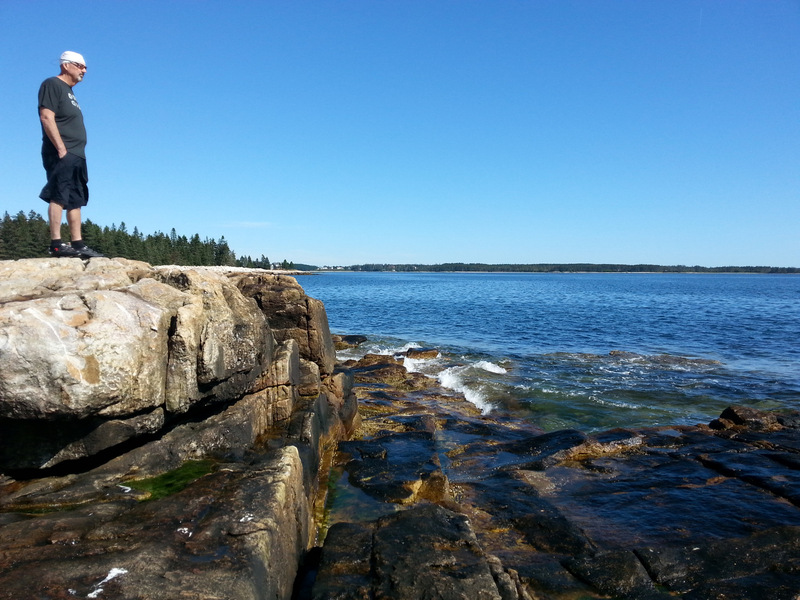 There’s a closed Acadia campground there (which we had to cycle through, just to see what we might have been missing! ), and an incredible natural seawall. We’re in a low-tide time of day, so we miss some of the spectacular rushes of waves against the rocks that are always featured in photos. The trade-off is that we get to stroll out onto the rocks to see the wind and water erosion which has worked upon them for centuries. It’s remarkable. We continued our northward ride. On the way, we were distracted by a roadside lobster restaurant, generically called a lobster pound. 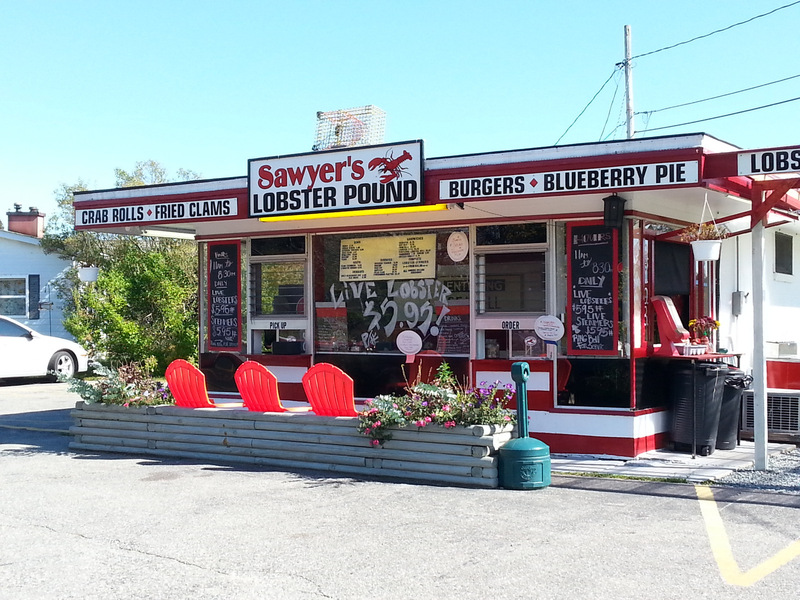 Sawyer’s had the music blaring from their outside speakers, and it looked pretty inviting. Decided to split our first lobster roll. Awesome!!! Fortified, we managed to cycle the rest of the way into Southwest Harbor. Stopped at a pier to watch a barge towing a dock into shore for loading on a flatbed truck. As a person who’s tried to back up a trailer, it was impressive to see that this barge backed up just once, and hit the target. No shucking and jiving, back and forth. Once and done. Impressive. We barely had time to jump off our bikes, and take in all that was going on. 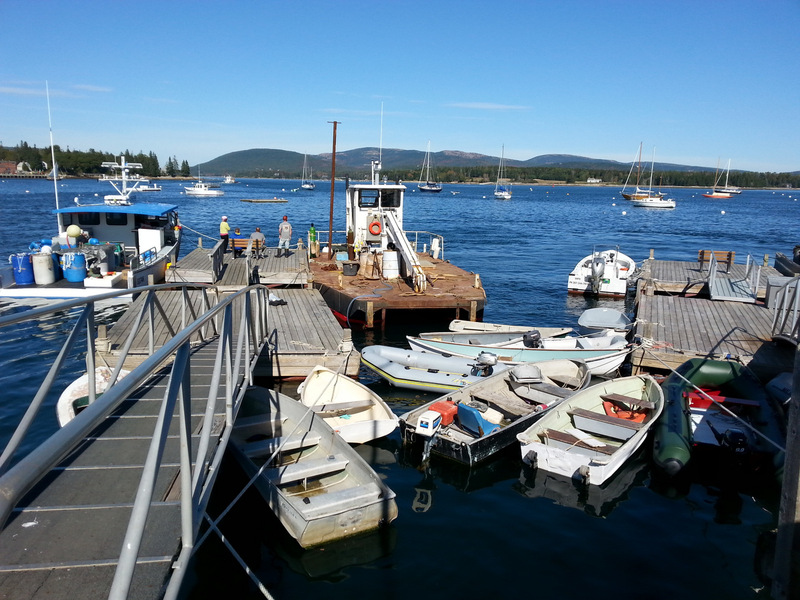 There was lots of activity in general around here – we waited for someone else to come in to the dock, but that didn’t seem to be happening. The Southwest Harbor area of the Island is known as the quiet side. No kidding. Not much happening in the town itself, so we wandered into a pub for a quick beer (Liberal Cup IPA – how appropriate), while waiting for our northbound bus. Back into the madness of Bar Harbor with its cruise ships and junky souvenir shops. Dinner? More lobster, of course. 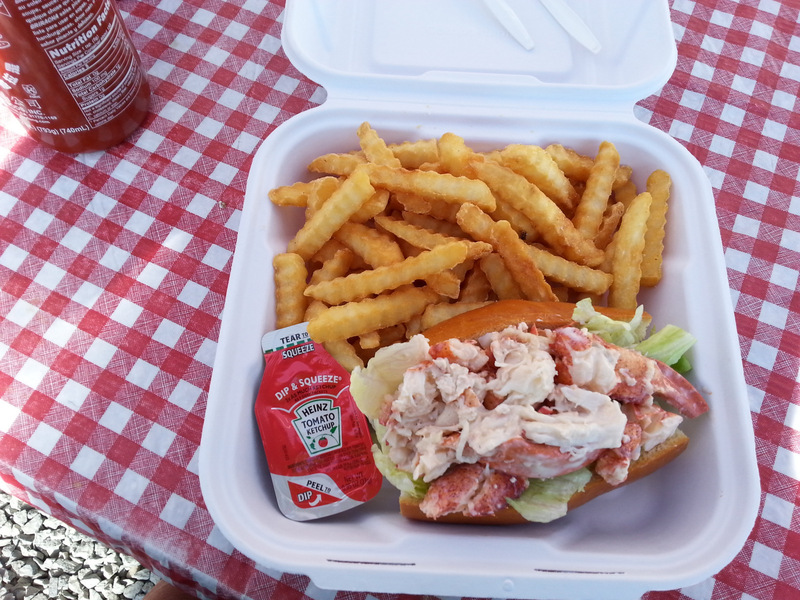 We availed ourselves of the lobster pound across the street from our campground. Steamed lobster for John, and scallops for me. What a mistake to eat stuff like this in the Fireball. We’ll be second-hand sniffing this for days. Jezzy was a bit disturbed by the crunching and cracking that accompanied dinner, but we’re pretty sure she’ll recover nicely. 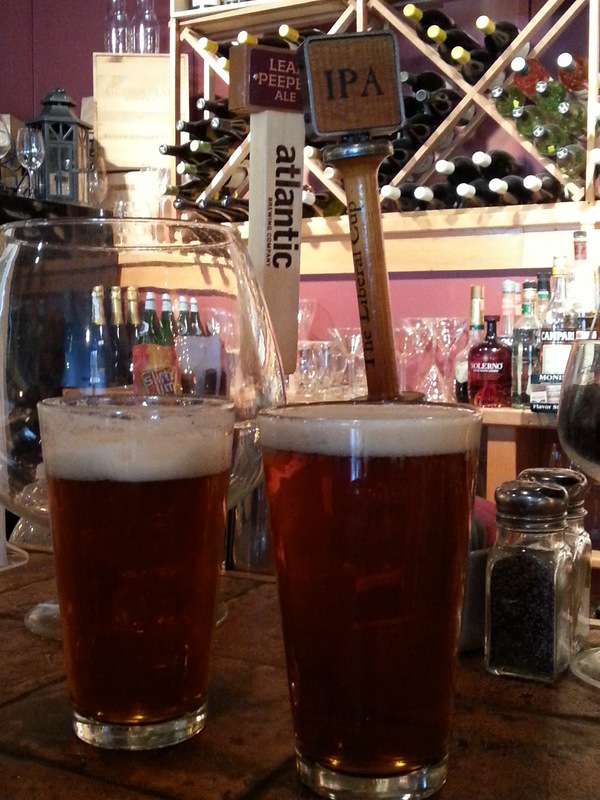 We’ve met folks from all over while here in Maine. The National Parks are such a huge attraction – there is no sympathy or understanding at all for the shutdown. Chatted with some German tourists (whom I impressed mightily with my rudimentary German language skills). Their bewilderment and dismay over their aborted trip was painful. (We advised sneaking in, and told them where to go). Saturday is our last day here….going to bypass the barriers into Acadia for final cycling on the Carriage Roads (gravel paths thru the park), and maybe a quick hike or two. It’s been fabulous. PS- Go Detroit Tigers. Game 1 starts in a few minutes. We have WiFi here, so we can listen to the game on an ESPN radio! Go Max! Go Miguel! This entry was posted in camping, cycling, great outdoors, Maine, national parks, retirement, simple camping and tagged cycling, great food, Maine, national parks, retirement, road trip, simple camping, the great outdoors by Judy Crankshaw. Bookmark the permalink. Reading along on the fly…the whole trip just sparks butterflies! What a beautiful area and love the way your are capturing it. Still in IL trying to make some decisions….so much still up in the air. What I’d give for a bite of that scrumptious looking lobster!! Thanks. Hope your situation improves so that you can get back on the road soon. This is such a nice time of year to camp. We’re going to try to max out on lobster yet before leaving Maine. So glad you advised the German tourists to go in anyway. This shutdown fiasco is an embarrassment to the whole world! It’s awful to think of all the people who have come here and can’t have access to the Park. The Bar Harbor harbor has two or three big cruise ships pull in every day. These folks are all being denied access to this national treasure. We’re lucky that Acadia has so many access points that they can’t easily shut it down. I understand that Yosemite is flat-out closed – there’s only one road in…we’ve been very lucky. Really an embarrassment, I agree. Great scenery, and it looks like good food and drink to go with fabulous weather. All important aspects of good camping. Love your blog. It’s so full of character and description. It brings back wonderful memories for me. As usual the pictures are fabulous!!! Glad to hear that you are having a good time.